Article led by Marko Pekic with additional contributions by Ellys Cartin. The challenge with genre shows is to portray realistic emotions in an unrealistic situation. Wars, killer worms, a second apocalypse, another war, mass suicide and imprisonment by people who can`t handle the sun are just a couple of things Bob Morley had to tackle The 100`s five-season run. And while The 100 was initially a show about survival, now it is a show about how to live with the choices you made to survive. >How Do We Get To Peace Bellamy was put through a rollercoaster of unrealistic and realistic moments challenged by morally questionable choices that eventually forced him to do that one thing that actually could break his heart. 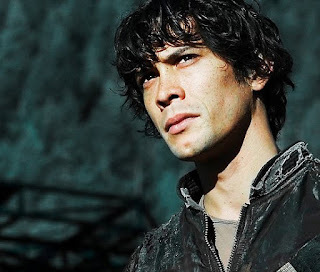 Bob Morley is being honored for his work by being chosen SpoilerTV’s Readers’ Choice Performer of the Month for June. 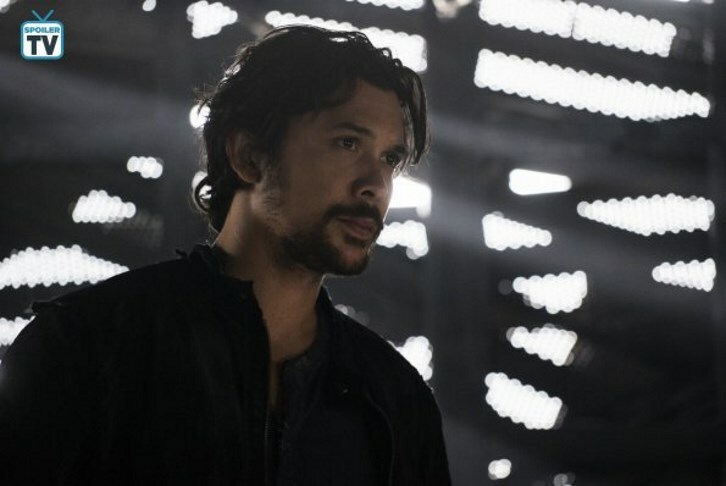 Right off the bat, the episode introduces Bellamy`s struggle this week and Morley right away tells a really distinctive story with his body language, and the expression on his face gave great weight to the deep effect the coming war was having on him. While a physical war was brewing it was evident that an emotional war was raging inside Bellamy’s head and heart. Bellamy goes head-to-head with Clarke (Eliza Taylor) as their only desire is peace and to protect the people they love the most in life. It was very vital to this scene to see Bellamy`s struggle. Bellamy was on the verge and Bob let us all know it. As he watched Clarke throwing his sister into a proverbial abyss in order to stop the mob heading into a new war it was visible how conflicted he was. Morley did some incredible acting at this moment as much with his body as his words. 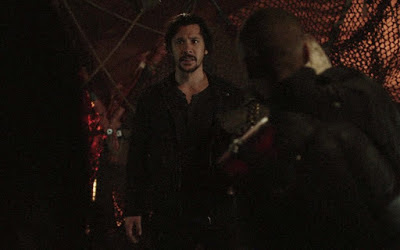 Later on, Bellamy takes charge of knocking Cooper (Kyra Zagorsky) unconscious, telling Monty (Christopher Larkin) that "...this is how we stop the war." Monty realizes they're going to kill the woman but yields to his friend and appeals to let them escape. "If you don't open the door, we're the ones who get killed." Bellamy knows Monty won't let his friends die and reacts angrily to being called a murderer. He retorts they're taking "one life to save hundreds". Monty puts forward Octavia (Marie Avgeropoulos), the primary advocate for war, as a candidate instead of Cooper. Bellamy looks away. He calls out after Monty as the latter turns his back on them. At this moment Bellamy was forced to confront a decision he never thought he’d be faced with. Morley’s smart acting choices allowed the audience to see Bellamy’s tension and emotional conflict grow tenfold when this plan was put on the table. Morley communicates Bellamy's doubt and discomfort in every moment, using small but effective gestures and reactions. The uncertainty he plays this scene with tells the audience this shouldn't be happening and that it will be regretted. His eyes are soft, pleading when he asks Monty to let them go. Bellamy's dismissal of being called a murderer gets a bitter, sharp delivery from Morley. It's particularly forceful, considering the head of the woman Clarke and Bellamy are about to kill rests in the crook of his arm. When Monty suggests Octavia, Bellamy looks down, with determined but ashamed eyes. Morley reminds us what his character is doing is not a cold impersonal killing; he sees it as a sacrifice to save his sister's life. It's important to convey Bellamy's guilt, for when forgiveness must be found later. When Cooper wakes up and realizes she's about to die, we see Bellamy standing with Clarke watching. Bellamy has his hands in his pockets, with his body shifted slightly away from Cooper and toward Clarke. He looks upward, swallowing hard, and stretching his eyelids, as we see his eyes are shiny with tears. When Cooper begs them to make her pain stop, Bellamy takes a deep breath. Clarke then tells him it's time to go. There's no turning back, but that doesn't stop Bellamy from looking back twice. create an intensity that made breathing hard. This episode must have been emotionally taxing on Morley because Bellamy was tested every way possible and was never allowed a moment to catch his breath. And just when Morley`s performance reached its peak during Bellamy`s scene with Clarke, everything turned around the moment he shared the final scene with Octavia. Like a beaten dog with a heartbreaking serenity, Morley`s Bellamy appeared in front of his sister, The Bloodreina. The scene with so sweet childhood callbacks, teary eyes and a distant but very present pain in Bellamy`s voice. 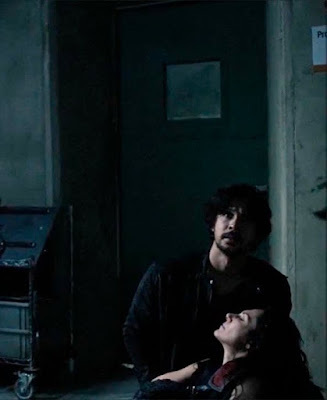 As Bellamy spoke the words the condescending roughness Octavia sent towards him disappeared as a cloud of sorrow captured every word Bellamy said while a gutted Octavia slowly lost consciousness. Never more so than now did Bellamy’s statement “My sister, my responsibility,” mean more than in this profound moment. Morley stunningly captured the immense heartbreak and pain rushing through Bellamy. Morley captured every single raw emotion with gut-wrenching precision. As Bellamy slowly laid Octavia down on the floor, an invisible hero cape emerged from his back. You couldn`t see the fragile boy anymore, you couldn`t see the troublemaker and rebel, you couldn`t see one of Pikes desperate pawns. The only person left before the black screen emerged is an Alpha, the Hero Bob Morley created. And after all, is set and done, one thing you can always rely on is for Bob Morley to bring out all the acting goods. Adaptable as a chameleon Bob Morley`s acting is still able to completely convince me that a war is brewing on the other side of the door, even though all he can see is a green screen. 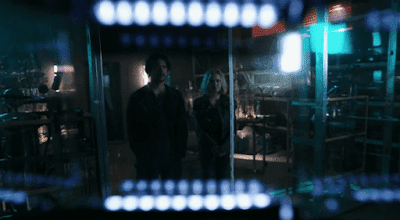 Looking at the future of The 100 it shines as bright as ever as they can rely on Bob Morley and his perfectly teary eyes to deliver a performance to be remembered by. This was a heartbreaking episode for Bellamy so Bob Morley as given a lot to cover. This article couldn’t cover all of them, so please feel free to use the comments to talk about any moments this article couldn’t.